The European Commission says it has started to implement its preparations for a no-deal Brexit – in case the UK crashes out of the EU without a plan. It has announced temporary measures to try to reduce the impact, but says it cannot counter all the problems it expects. As PM Theresa May’s proposed exit plan flounders in Parliament, both sides are preparing for the worst-case situation. The UK has allocated £2bn ($ 2.5bn) in funding to government departments. The European Commission’s measures are designed to limit disruption in certain key areas, such as finance and transport, if Brexit goes ahead in March without a deal. “These measures will not – and cannot – mitigate the overall impact of a ‘no-deal’ scenario,” it said in a statement. “This is an exercise in damage limitation,” added commissioner Valdis Dombrovskis in a news conference, saying a contingency plan was necessary “given the continued uncertainty in the UK”. What are the European plans? The commission’s 14 measures cover legislation that will aim to ensure some continuity. They address eight sectors, taking in issues such as transport and customs, data protection, animal health and plants, climate policy and key financial products. The commission has also urged its 27 remaining member states to take a “generous” approach to the residency rights of UK citizens in the EU following a no-deal Brexit, “provided that this approach is reciprocated by the UK”. The Commission says these measures do not compare with EU membership, or the transition period on offer in the Withdrawal Agreement – which the UK Parliament has yet to vote on. Brussels says the arrangements will be strictly time-limited, and will be ended without any consultation with the UK. BBC Europe editor Katya Adler says Brussels will be keen to point out that these proposals are not in the UK’s favour. They are to protect EU member states from the more catastrophic aspects of Brexit if no deal is reached, our correspondent explains. Will there be visa-free travel? Visas will not be required for UK citizens to spend short periods in EU countries, the commission said. For stays of over 90 days, a residence permit or a long-stay visa will be required. Member states have been told to take all necessary legislative and administrative measures so that temporary residence documents can be issued by the withdrawal date. UK citizens who have lived in an EU state for a period of more than five years must be granted, subject to certain conditions, long-term resident status, the commission said. Why are the plans released now? The European Commission’s initial guidance on the issue was published in November. It committed to publishing its draft version by the end of 2018, allowing for eight weeks of consultation, as required by EU treaties. The issue is heating up because Mrs May’s proposed deal, which was agreed with the EU, has so far failed to gain enough support in the UK Parliament, which will vote on it next month. The deadline for leaving is now 100 days away. 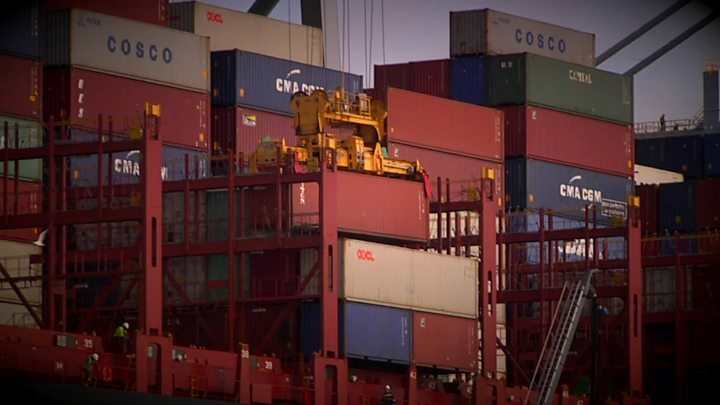 On Tuesday, the cabinet said it had decided to “ramp up” preparations for a no-deal Brexit. The government has sent letters to 140,000 firms urging them to plan ahead, while 3,500 troops will be put on standby to maintain essential services. It will also distribute 100-page information packs to businesses on Friday. The UK is due to leave the EU on 29 March, two years after triggering an EU mechanism known as Article 50, which covers departure from the bloc.